Fast, reliable, and high-capacity. 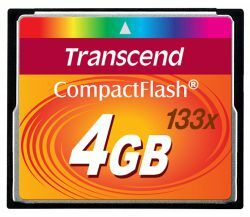 With consistent performance and vast storage capacity, Transcend's 133x CF cards are the perfect match for enthusiast and prosumer level DSLR cameras and camcorders. Additionally, the top-tier MLC NAND flash chips inside are durable and reliable.